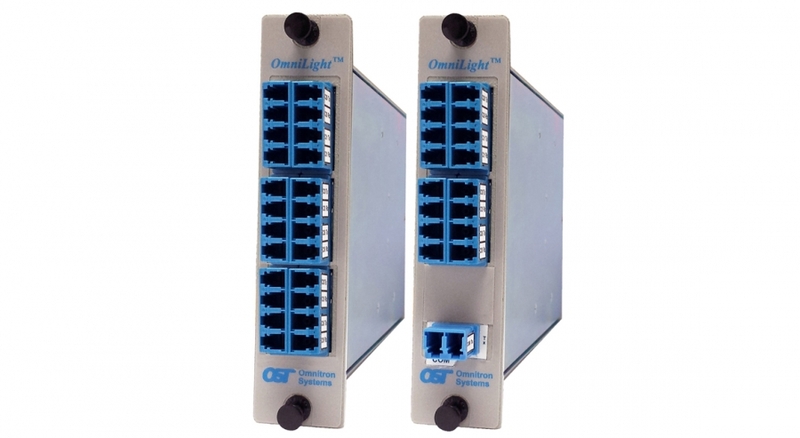 OmniLight® 8-Channel LGX Dual Fiber DWDM MUX/DEMUX modules support DWDM channels 28 through 35, 36 through 43 and 52 through 59 in 100GHz spacing. 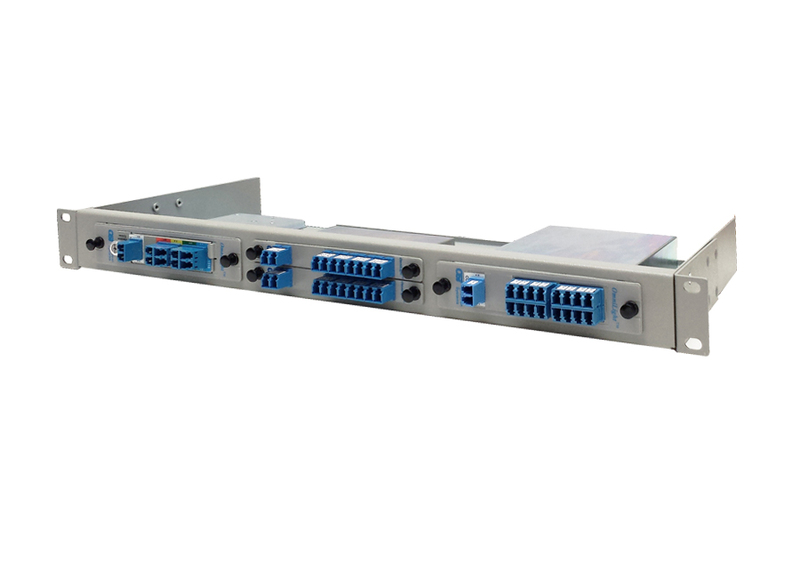 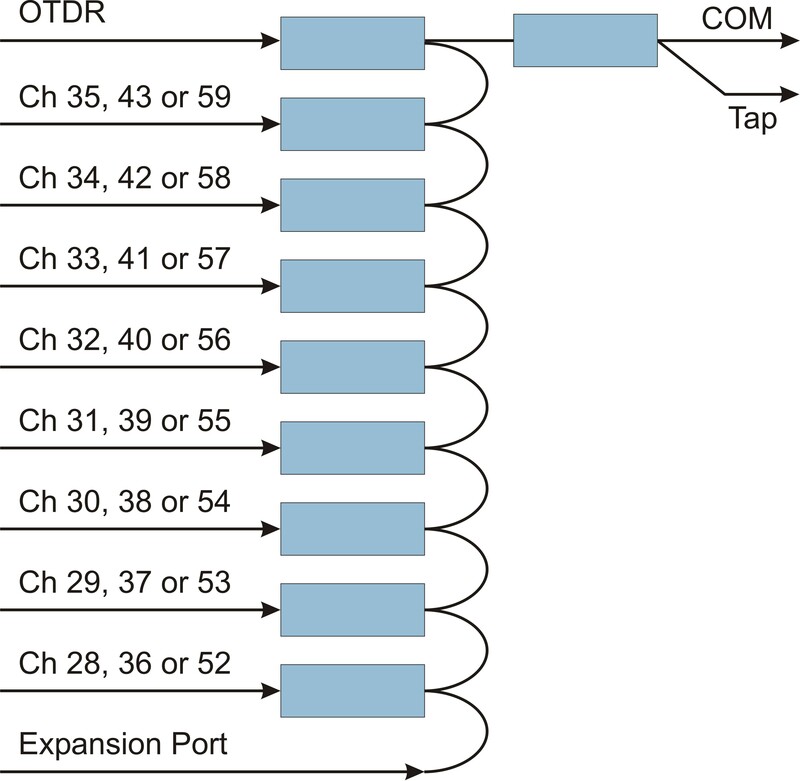 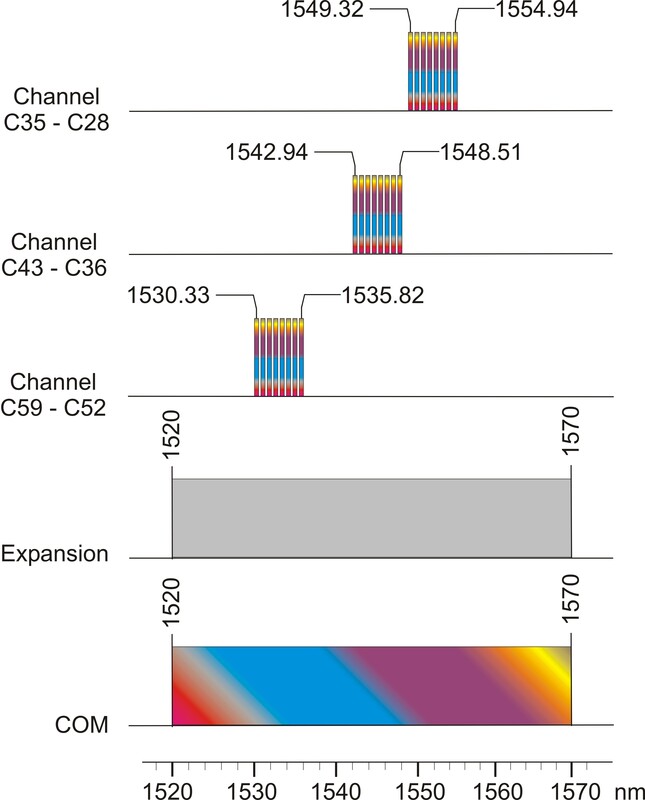 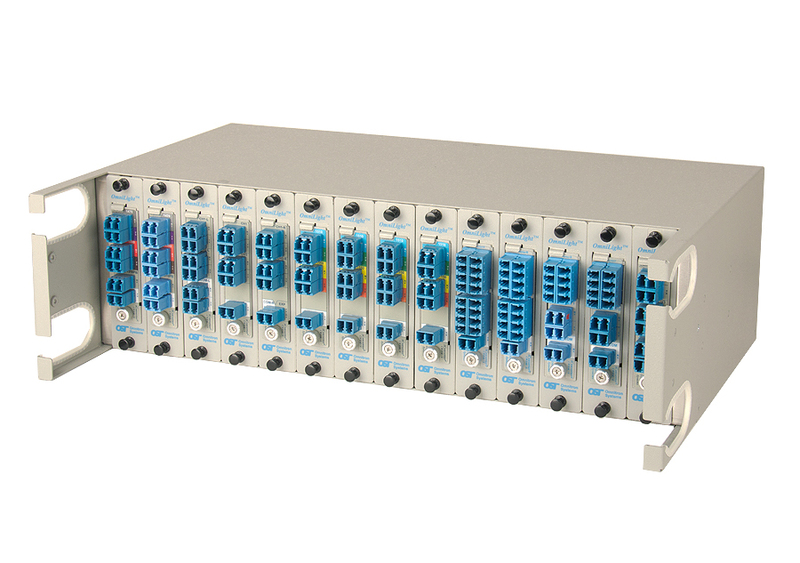 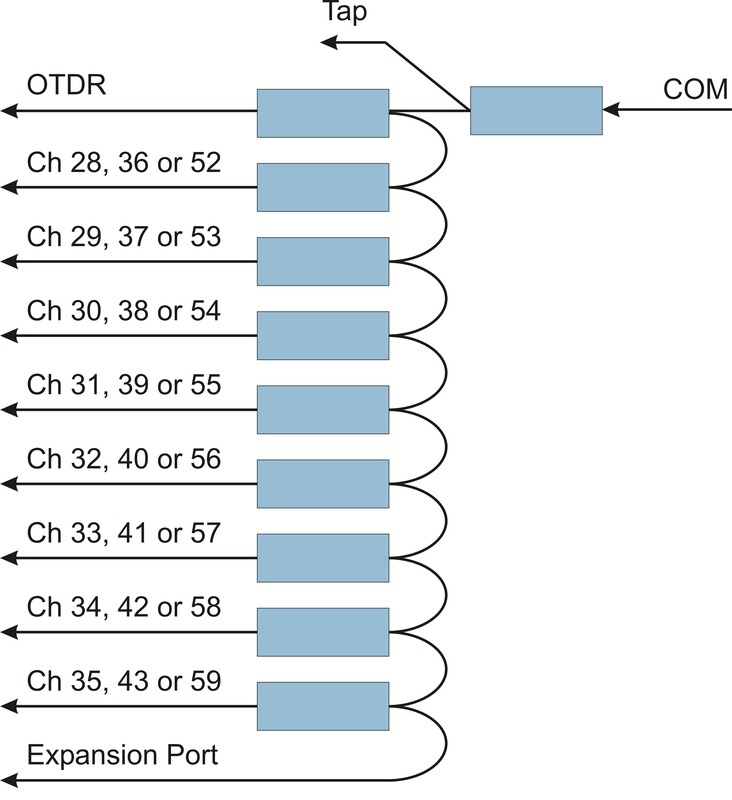 An expansion port is available to cascade multiple DWDM MUX/DEMUX modules, doubling the capacity of the common fiber link to 16 channels or tripling the capacity to 24 channels. 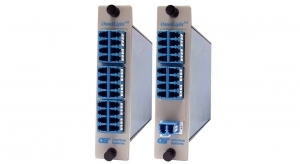 Tap ports are available to monitor optical levels of the incoming and outgoing common channels. 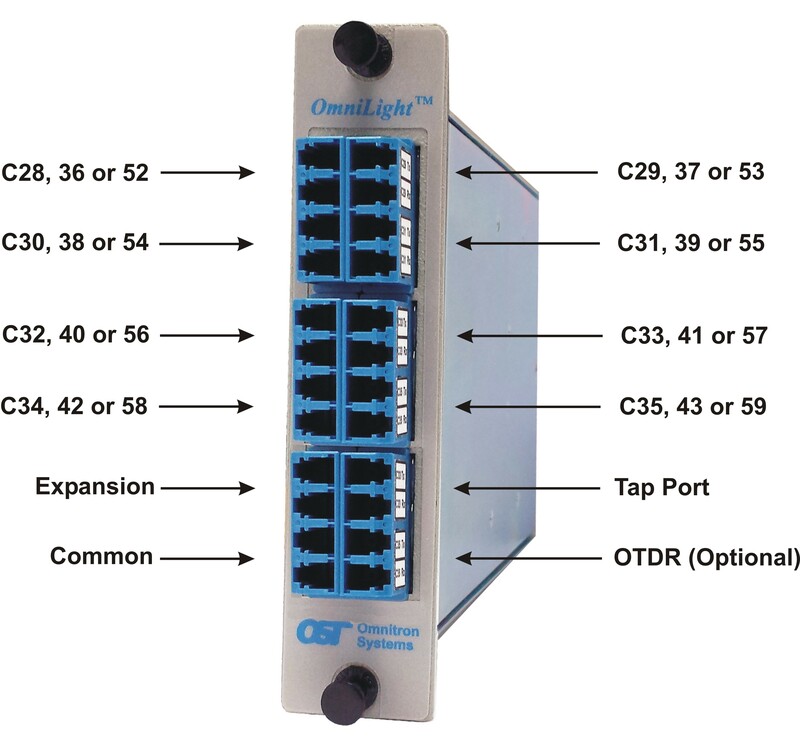 An optional Optical Time Domain Reflectometer (OTDR) port is available which provides the ability to test the integrity of the fiber optic link without disturbing the wavelength channels.